In our first Business Breakfast of 2018, Peter Waggott of Vertical Motives Consultancy explained the Challenge of Sales in the Digital Age. 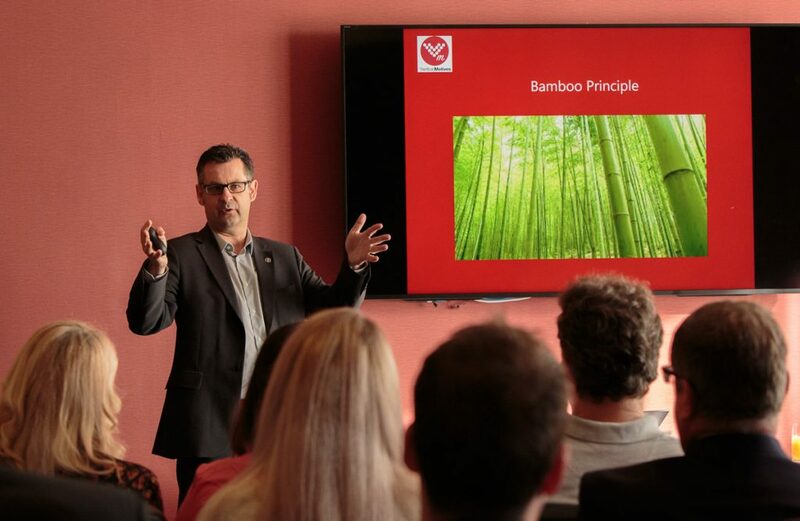 Among the many topics he covered were ‘The Bamboo Principle’, the questions your organisation needs to ask to succeed now, how to move away from solution sales and how to develop your customer base. Thanks to Peter for sharing his knowledge and experience. NEXT EVENT: The Club’s next event is May 9: St Andrews 10 x 30, when Members will explain things we need to know for business in presentations of 10 slides for 30 seconds each.